We all wants to make our content go viral over search engines. Are you searching for the most uncovered ways by which you can build quality backlinks for your website or blog ? Do you want to increase your website traffic by searching for more profitable keywords in your website niche ? Then you have landed on the right webpage. You all should know that creating great content for your blog is not all enough. If you actually want to increase your website sale then you will need more and more web traffic. You might now be thinking that why people struggles even after creating great content ? The reason is quite simple. They know nothing about Search Engine Optimization. People don’t know how to optimize their website content properly for getting more searches over these search engines. Not using right keywords that can help in boosting their blog traffic is their first mistake. Also people never think about spying and worrying about their competitors keywords and backlinks. If you are facing similar problem then let me help you out. Today in this article I will be going to talk about a tool which actually helps you not only increasing your website traffic but will also increase your website sales. SEMrush is one of the most powerful SEO tools which helps you in getting more revenue and also more searches through popular search engines. Before getting started you all should know about this website tool. SEMrush is an all rounder SEO tool which is used by many SEO experts for optimizing their web content. SEMrush helps you incredibly in finding out great keywords, analyzing backlinks, checking website traffic, fixing website issues and much more. SEMrush currently have more than 7,00,000 active users with 29 bases showing up 120+ million keywords results. Not only this much but this amazing website SEO tool contains more than 73 millions of domain information in their database. If you are searching for a tool which can help you in finding great keywords, making backlinks and increasing website traffic then SEMrush will be the right choice for your blog. Regularly updated data for providing your accurate data. So, these are the features that are included in SEMrush. Now let’s talk about how this amazing SEO tool can help you in increasing your website traffic. So, let’s get started. How to Use SEMrush to compete with other popular blogs ? I’m not saying that this tool will surely going to help you in beating your competitors. Continue reading this article and find it out why i’m not saying it so. Before discussing about what SEMrush offers you I like to tell one thing. SEMrush uses a lot of global data which is updated frequently. You can easily find out latest keywords and backlinks which are updated in their databases. There are about 28 databases ranging from US, Europe to India. You can easily pick out corresponding database to find out most profitable keywords for your website content. Before searching for keywords or analyzing a domain you need to choose a particular database which you have to target. The amount of keywords used in your content is directly proportional to the amount of traffic which you get on your blog. keyword research is the best way by which you can increase your website searches. Many people still use Google Keyword Planner or other free keyword research tools for searching keywords. The bad news about these free tools is that even if you find less competitive keywords then also it is very hard to rank in search engines because most bloggers are also using the same keywords in their blog content. Then what’s the solution about this problem ? SEMrush helps you in finding great keywords for your blog content no matter what’s your niche. No matter what type of keywords you are in search of, this keyword research tool will give you a list of best keywords which can help you in increasing your blog ranking. If you ask any SEO expert about their secret then many of them will answer you the same “Competitor’s Analysis”. Before discussing it further let’s first talk about why you need to analyze your competitors backlinks. Search Engines gives more priority to those pages which have more quality links. That’s the main reason why new blog doesn’t get much traffic because they barely have quality backlinks. If you want to boost your website traffic then you will be needing more quality backlinks for your blog. SEMrush helps you in Backlink analysis which helps you in analyzing the quality links. By this way you can easily figure out the best links for your blog. Are you struggling to get more search engine traffic even after creating great content for your blog ? It might be possible that your blog has some SEO related issues or any broken links which are responsible for not getting enough traffic. You will never come to know what’s the problem unless you carefully examine your blog. This is where SEMrush comes to play. 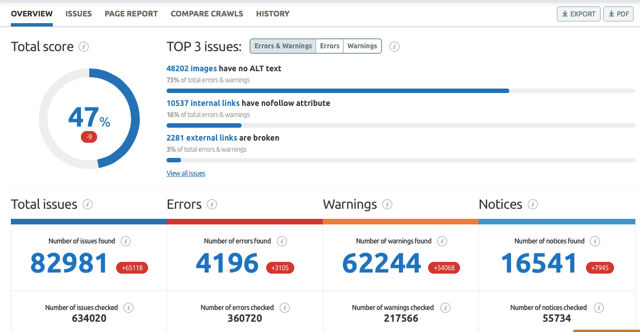 With the help of SEMrush Site Audit feature you can easily fix all the issues related to your blog. It’s simply waste of time if you are trying to rank through keywords without knowing the rank of those keywords. Before using keywords you should search for the keyword ranking and check out which keywords are ranking high in search results. 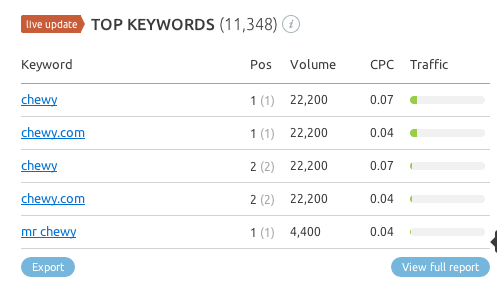 SEMrush allows you to check keywords ranking by which you can easily track keywords position every other day and start working on them. But How Much You Have To Pay For It ? 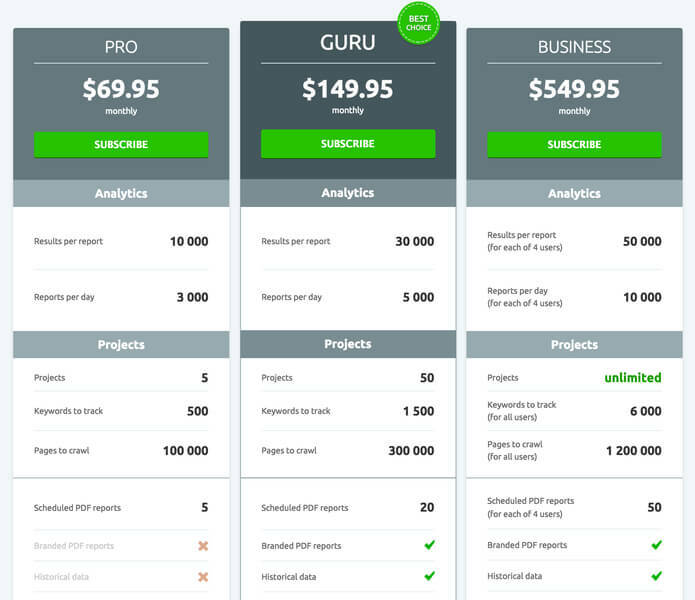 SEMrush offers you 3 pricing packages Pro Plan, Guru Plan and Business Plan. Now the next question arises is how will you decide which is the right plan for you ? Have a look to the features and decide your plan on your own for your blog. There’s no doubt that SEMrush is the most powerful SEO tool that easily helps you in dominating your niche. This amazing search engine optimization tool offers you everything which can help you making your blog more successful. With the help of Keywords research tool you can easily give a tough competition to your competitors and can easily rank high in search engine results. 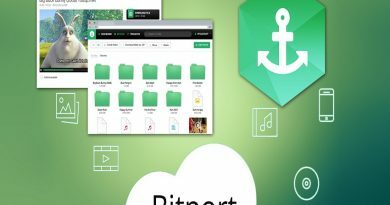 I will recommend you to take 30 days free trial first and if you like it then continue using this tool.